Looking for a way to refuel your body after a workout? 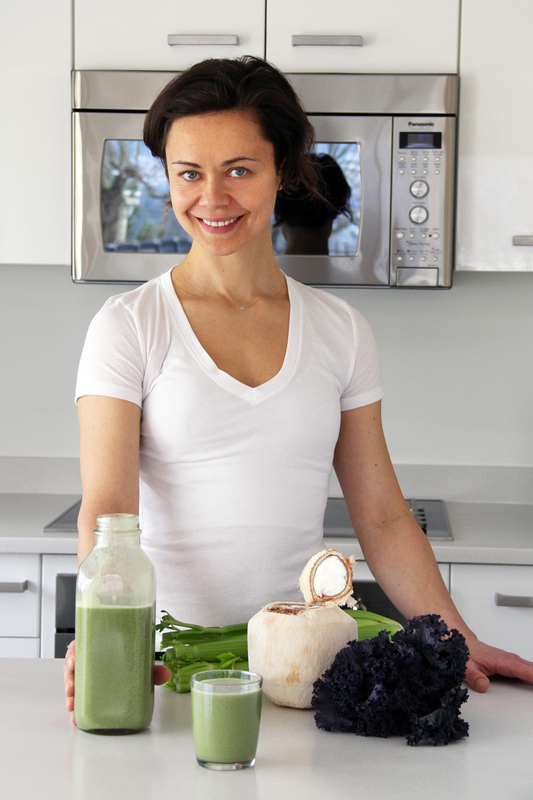 This Raw Vegan Muscle Mylk was created with one main goal in mind: to replenish. Whether you are refueling after an intense workout session or looking for a meal that will supply you with nutritious energy to last you for hours this green “mylkshake” will do the trick! This is a two part drink, one part coconut milk the other part green vegetables and fruit juice. It may seem weird, but trust us, it is delicious! And while there is some prep time required to make your own coconut milk from scratch, it is better than consuming store bought milk with preservatives, chemicals, and added sugars. This is a highly nutritious and vibrant green drink that will supply a healthy dose of plant based protein and re-hydreate your body with electrolytes lost during exercise. This Raw Vegan Muscle Mylk was inspired by Lou Corona and Dan Macdonald. Thank you, boys, for sharing your knowledge and experience of raw food living. You rock! 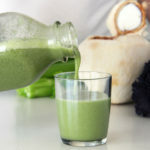 This green creamy "milkshake" will help build lean muscle and regenerate tissues, as well as provide the right fuel for the body to sustain high energy and fuel your busy days. A perfect balance of carbs, proteins, fats and minerals. Everything you need to thrive. Run celery, kale, cilantro and apple through a juicer. If using fresh coconut crack it open. Empty the coconut water and strain it using a fine mash strainer. Scoop out the meat out of the coconut using a large spoon. Place the coconut meat and water into a blender together with one pitted date and blast on high for 30-60 second or until smooth and creamy. 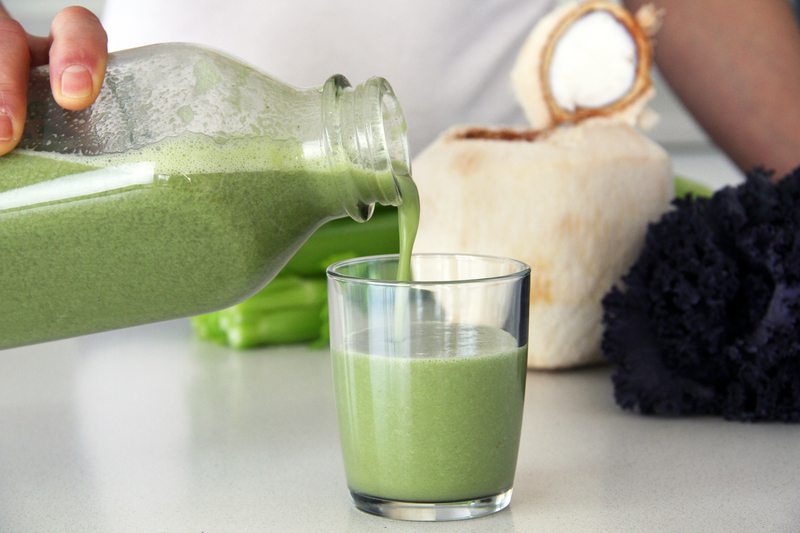 Add the green juice into the blender and blend well until all ingredients are combined - about 30 sec. Serve immediately. Serve over ice if desired. Lou’s Tip: *If you do not have a juicer, it is OK to use a blender, though you may have to use purified water to get the mixture to blend. If you use a blender, pour juice through a nut bag or fine strainer and collect juice in a bowl. And here you have it. So good, and so nutritious – Cheers!